This was a fun fresh twist on Pride and Prejudice and I thoroughly enjoyed it. It was nice to read a light, fun, angst free story and that opening scene definitely got my attention. The fun witty banter between Casey and Tate really kept the story lively and intriguing. Casey's first impression of Tate is anything but impressed but as they spend time together working on the play she finds herself drawn to him. She's torn between believing what others are telling her about Tate and what she's come to know of him on her own. This is definitely a fun read and one I would recommend. 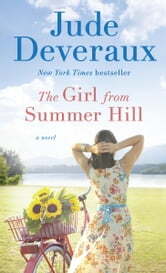 I loves the book, very entertaining, the characters were well developed and likeable, I read too many books where I don't care much for the characters, not so with Jude Deveraux. A must read. Copy provided by Netgalley in exchange for an unbiased review. Pride and Prejudice against a backdrop of…Pride and Prejudice. And it works. This is the first in a new series by Jude Deveraux, and it was a fun read. Light, with interesting characters against the backdrop of a local production of P&P, but with a cast that includes a famous actor with ties to the area. It’s a bit of a rom-com - action movie mega-star and a chef cute-meet in a most embarrassing way. Mis-communications abound. Bad guy keeps throwing monkey wrenches into the budding relationship. In the end, true love prevails. 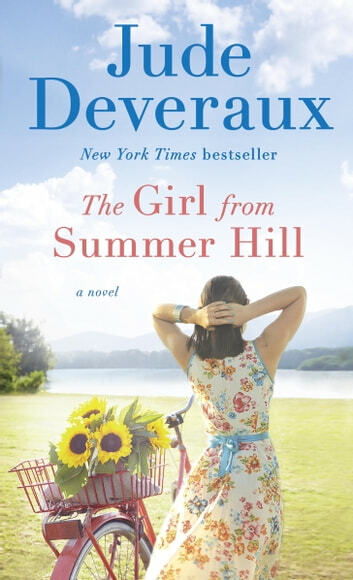 There’s a character or two from previous Deveraux series - I seem to be reading Ms Deveraux “backwards” - one of these days I should really buckle down and start at the beginning and see the origins of these characters I keep seeing in her newer books. And since I’ve enjoyed what I’ve read, those older books are moving up on my TBR list. Reading this book was like watching a soap: lots of characters, lots of romances, lots of drama, all of it very entertaining. Chef Casey Reddick gave up a thriving career in the city to take up residence in the picturesque town of Summer Hill, but she's not giving up on what she loves doing. She has the perfect opportunity to connect with her extended family while catering the meals for the cast and crew of the town's theater production. But it's her less than promising first meeting with famous actor Tate Landers that sets the stage for a fiery romance between them. Tate Landers is used to the paparazzi stalking him, not that he likes it, so his reaction when he thinks Casey is one is understandable, but his botched attempt at an apology doesn't endear him to her in any way and she makes her aversion to him very clear. For a man who attracts women like flies, Tate is a little surprised that Casey can't seem to stand him, but at the same time he likes that she's not overwhelmed by his public persona and looks forward to getting to know her when he gets manipulated into a role in the play opposite her, but can they get over the disaster of their first meeting and find some common ground? Or will both pride and prejudice damage the budding connection between them? The fact that this book was a nod to Jane Austen's Pride and Prejudice was a mark against it for me because I wasn't interested in one more adaption or retelling. I just wanted to read a romance and that perspective helped me get through it. I do have to say that Ms. Deveraux captured the essence of P&P but gave it a fresh and modern flair and got me thinking about it again in today's context. The parallels between some of the characters from P&P and those in this book are very obvious, but I liked that the author didn't go out of her way to make them glaring and that the characters retained some originality. Tate is very far from what you'd expect from an A-lister. He's very private and doesn't enjoy the limelight and I loved how his family was a priority to him and how protective of them he was. Casey was independent and hardworking but surprisingly naive about human nature. Together, they were fun to watch as they tried to figure out their relationship, as were many of the other characters. The Girl from Summer Hill combines humor with drama and I enjoyed the cast of supporting characters as well because they each brought something to the story, both on stage and off. Disclaimer: I received this book for free from the Publisher in exchange for an honest review. This does not affect my opinion of the book or the content of my review.